The business will donate £30,000 to Markfield Parish Council which will go towards the development of a new community park. The new park will be fully equipped with everything from a dedicated community centre and play area, through to a basketball pitch and skate park. 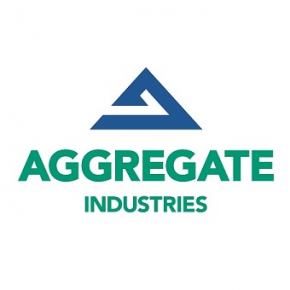 Aggregate Industries will also donate £2,000 to Copt Oak Church which will provide much-needed funds for general building maintenance to ensure the upkeep of the beautiful old Anglican building. As part of its commitment to the Bardon Community Fund, Aggregate Industries provides a total of £400,000 to support local community initiatives for the benefit of residents around Bardon Hill Quarry over the next ten years. Kristen Hannaford-Hill, Estates Surveyor at Aggregate Industries said: “We’re thrilled to be finally able to launch the first traunche of our Bardon Community Fund and have chosen to invest in two important projects. The park, once complete, promises to serve as an exceptional place for activity and respite for all generations, while Copt Oak Church is a very much treasured local icon. Planning approval to extend the Bardon Hill Quarray was subject to a Section 106 legal agreement whereby Aggregate Industries launched the Bardon Community Fund. The fund has been designed to enhance the local community, bring local residents together and offset any disturbances during the works period.